Are you ready to elevate your bullet journal game in 2019? Fancy lettering is a fun and easy way to do that. 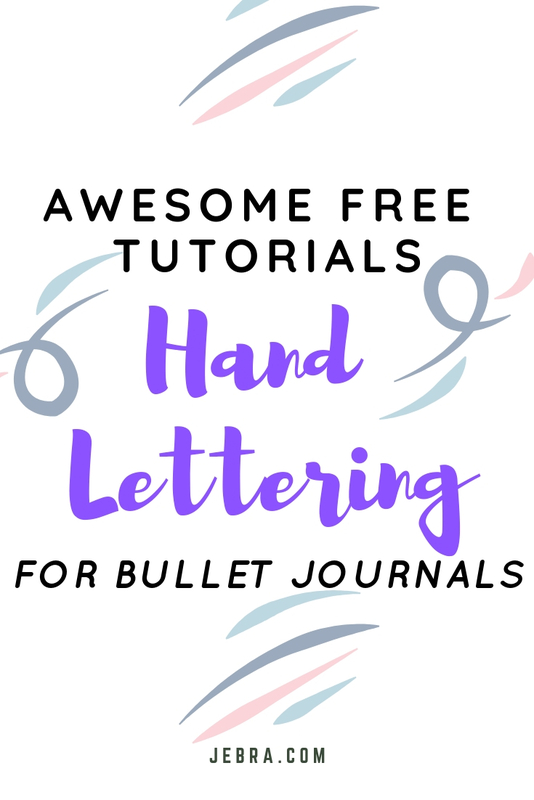 Calligraphy and hand lettering are popular topics in the Bullet Journal community, and for good reason! Are you also mesmerized by the beautiful hand lettering that you see in so many of the bullet journal layouts on Instagram and Pinterest? I’ve been typing so long that I struggle to even form legible letters, until I slow down to create intricate hand lettered page spreads and banners. For me, hand lettering is super stress-relieving, plus it’s easier than formal meditation and way cheaper than therapy. 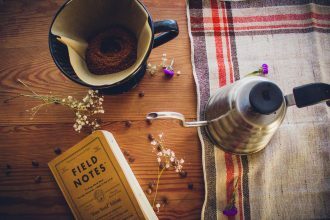 Of course, keeping a Bullet Journal doesn’t require artistic talent or even much creative ability. But maybe you’ve been inspired by social media to make your own Bujo pages beautiful as well as functional. 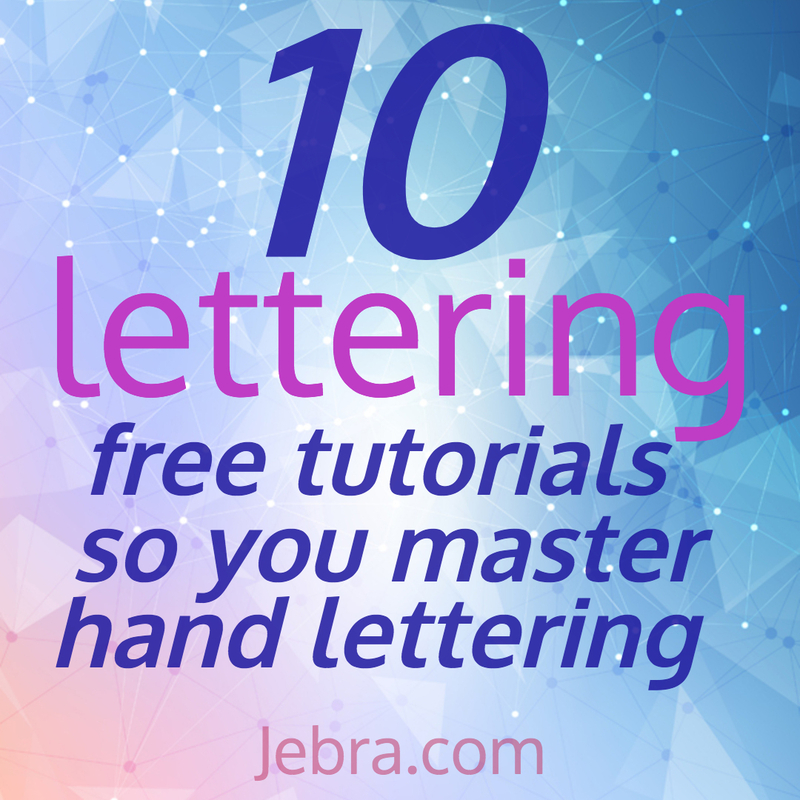 The large and growing community of hand lettering artists makes it easy to find tutorials on all things lettering, at no cost! Free is a very good price. 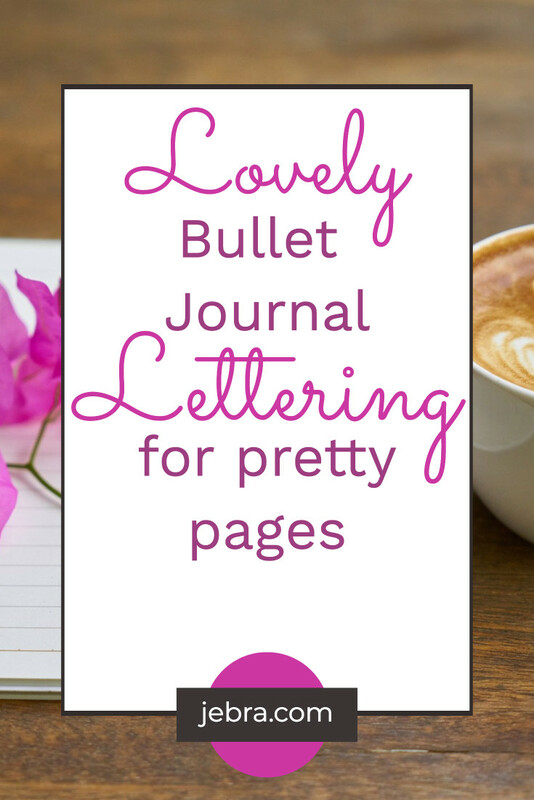 So, take some time to check out new styles and supplies, and see what’s new in the bullet lettering world. YouTube is an amazing place to gather inspiration from talented hand lettering artists and amateurs of all ages and from every corner of the world. Soon you’ll discover your favorite teachers and demonstrations. Then whenever you need ideas or inspiration, you can revisit them for a “brush up” or to see what they’re up to! Cursive handwriting is not the same as hand lettering, which is not the same as calligraphy. For bullet journaling, hand lettering is any form of writing fancier than the messy scrawl or simple print that may of us have adopted. In this tutorial, Lhey demonstrates how her utilitarian handwriting differs from her lovely hand lettering. 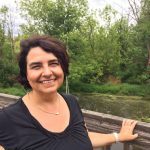 It took her two years of daily practice to become proficient, so she encourages viewers to enjoy the learning process. She also demos her favorite pens for brush lettering (a variety of Tombow brush pens), her Rhodia dot pad, plus the popular DIY workbook, Creative Lettering and Beyond. Noel, from Seventeen magazine, shows how to use a fountain pen with a metal pointed nib pen with your Bujo. You don’t have to keep dipping it in ink because it’s refillable. Not only is it simple to replace a cartridge, but it’s economic and eco-friendly. No need to toss a pen out when it runs out of ink. Fountain pens are pretty unusual in the U.S. but in some parts of the world students aren’t allowed to use anything else for the first few years of school. Supposedly, they encourage neater and more precise handwriting. It’s easy to get those calligraphic thick and thin variations without any special training or practice. Play around with a thin, medium, or bold nib or just adjust the angle of the pen in your hand. It looks intimidating but basically, it’s as simple as writing with an ordinary pen. 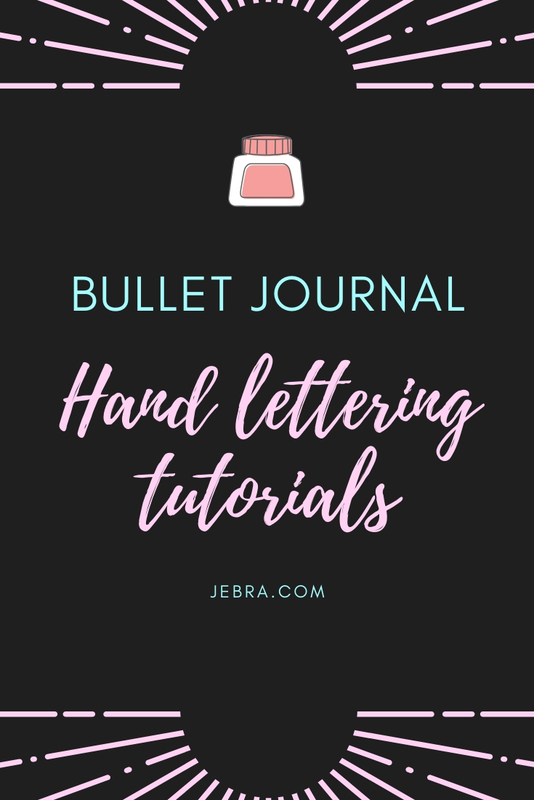 Amanda here focuses her lettering tutorial on the needs of bullet journalists in what she calls her ULTIMATE guide to lettering & font ideas. Learn to form fun graffiti style bubble and 3-D letters for common bullet journal words, like spelling out the days of the week. Samantha, at The Creative Glow, wants you to know the #1 rule for creating your own modern “calligraphy” or fancy faux-lettering. In this video, you’ll discover how to fake it ’til you make it! You can do it without any special pens or other tools, too. Richard, at Calligrascape, posts many calligraphy tutorials, including unusual traditional alphabets, like the Germanic Black hand. He also includes vlogs of his travels — don’t miss his giant beach calligraphy as captured by a drone. It’s nice to know that you can hand letter anywhere you go! Lucie, at Refinery29, tries out 5 days of calligraphy. Watch her experiment with different styles, try a bunch of genius pens, and create beautiful artwork all within one work week. Impressive! While on this channel, also check out Lucie’s video on trying to master bullet journaling in 5 days, and the follow-up video on her progress months later. Carter offers lots of advice about using a nib pen and ink to write out quotes and other calligraphy, what to do when you mess up, and how to keep going. Many commenters wondered why the word “DIY” is in the name. Some think it means you teach yourself and learn at your own pace, others that it refers to the fact that you don’t have to pay a professional to do the calligraphy for you, as in the case of wedding invitations. Either way, DIY can’t be beat! Don’t see exactly what you’re searching for? Keep checking back. New hand lettering video tutorials are being added to YouTube every day. Hopefully one of hundreds of free tutorials out there will introduce you to a new, favorite lettering style. It take some persistence to learn new letter forms so don’t get frustrated or impatient with yourself.